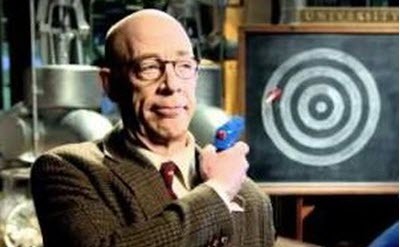 We know a thing or two about analytics! Unilytics has been in analytics consulting since 2001 and started out in web analytics. 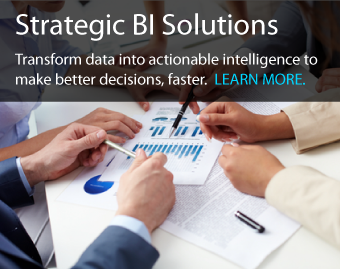 We turned our attention to business intelligence and building dashboards five years ago and see many parallels. Website designers are always trying to enhance site usage, encourage more engagement, and improve the user experience. Making sites as compelling as possible and delivering what users want and expect is fundamental to a successful website. Dashboard developers are no different. Are they finding the filters we created and are they using them? Are they interacting with our map, and which geographic areas are they clicking on the most? Which vendor names did the user click on in the “Find” list? How often is the “Share” function selected? How often are the “copyright” or “help” tooltip accessed? What data ranges do users choose from calendar? What text strings do users search for in search bar? Which workbooks are shared the most? Which dashboard features are used the most? 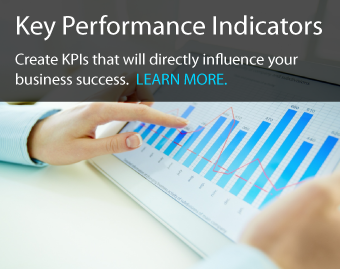 Who interacts with dashboards and how often? To help find the answers to these questions and many others, we have created DDA (Dashboard Design Analytics. 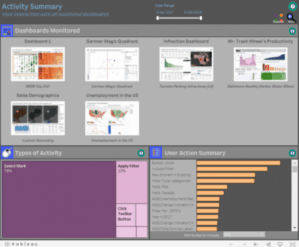 DDA collects user interactions and reports on how customers are using Tableau dashboards. 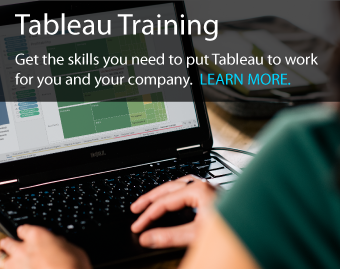 And of course, a Tableau dashboard is created to show the results! Activity Summary dashboard with thumbnails of all dashboards being analyzed, showing customized metrics monitored. DDA engages users to learn more about their business. Many organizations survey users to learn what they like and don’t like about dashboards they are asked to use. But that is often a cumbersome and error-prone process. It’s nearly impossible to know if dashboard creation efforts are paying dividends in terms of new insights gained, and if they are answering questions users are asking. 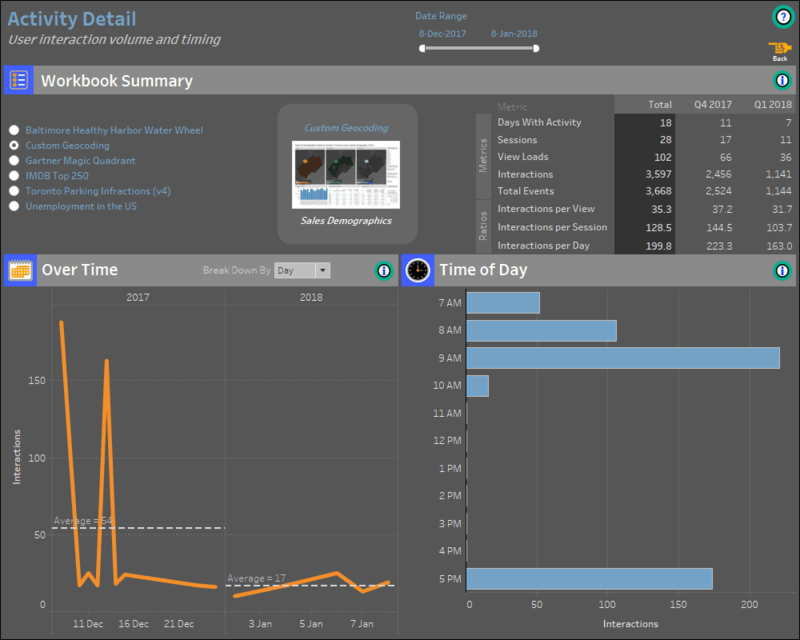 Activity Detail dashboard with thumbnail of dashboard being analyzed, showing multiple metrics over time. Understanding how users are interacting with dashboards, what selectors or menus they access, what sections they use most often, and what they don’t use offers tremendous insight into design improvements. The analytics generated by DDA can then be used to fine tune dashboards, or create new ones, based on how customers are actually using them.